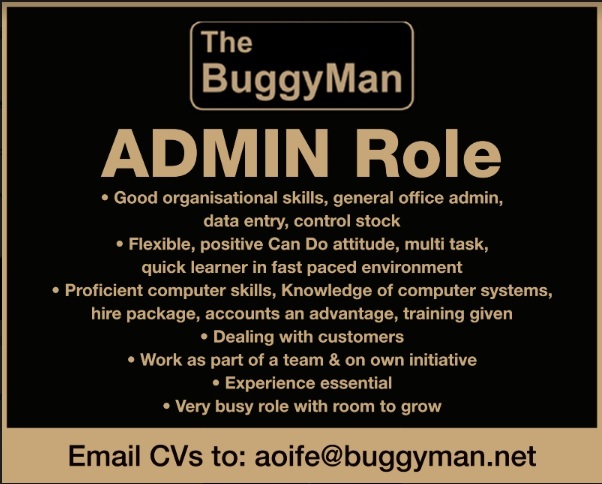 Kildare-based golf cart distribution company The Buggyman is hiring. The company has an administrative role vacancy, and is looking for someone with a positive, 'can do' attitude. The job is described as a very busy role, with room to grow. For more information on the position, and how to apply, see below.